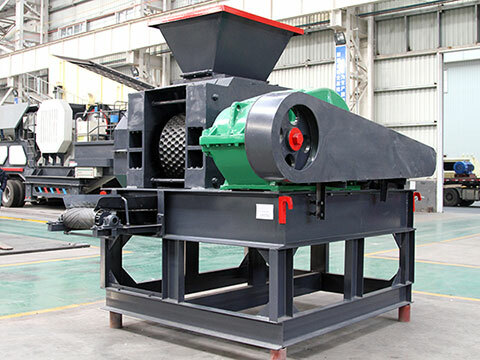 The briquetting machine, with other names of briquette machine, briquette press machine and briquette making machine, transfers its power through the reduction boxer to the two compression rollers at the same time, making them rotate in opposite directions. 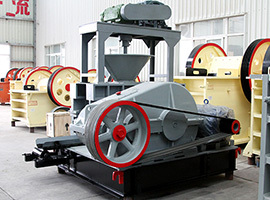 During the rotation of the two rollers, the materials will uniformly enter into the ball mold on the compression roller. 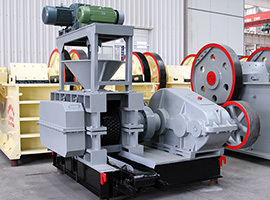 Along with rotating of the rollers, the pressure that the materials endured will grow from small to big, and it reaches peak when the materials rotate to the contact points of the line of the two rollers. 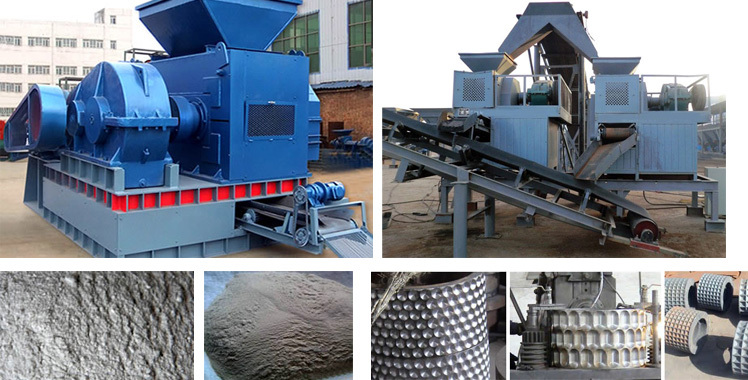 And while the materials pass the point, the briquetting pressure of briquette machine, briquette press machine or briquette making machine will become small and the materials enter the state of breaking away from the machine. 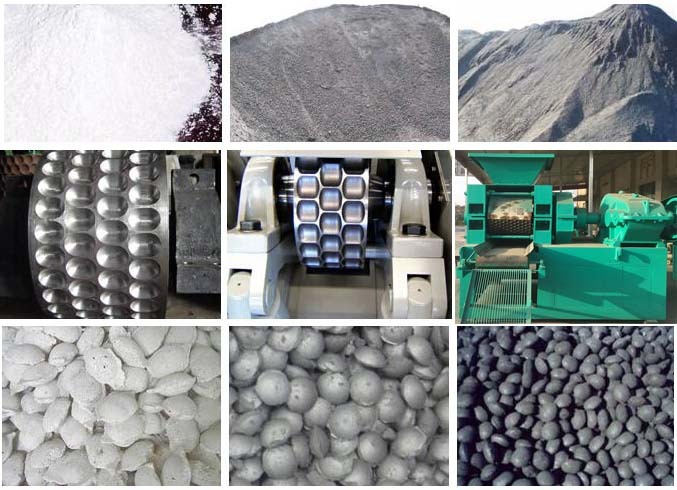 The briquette making machine or briquette press machine can be used to press various powders, scrap, waste residue such as pulverized coal, iron powder, coking coal, aluminum ash, iron filings, iron oxide scale, carbon dust, powdered carbon, slag, gypsum, gangue, sludge, kaolin, active carbon, coke breeze and so on. 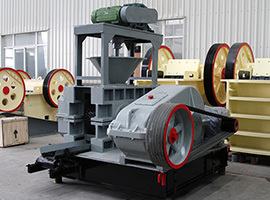 The briquette press machines are widely used in refractory, powder plant, metallurgical, chemical engineering, energy, transportation, heating and other industries. The molding materials that made by the briquette making machine are energy conservation and environment protection and easy to carry. 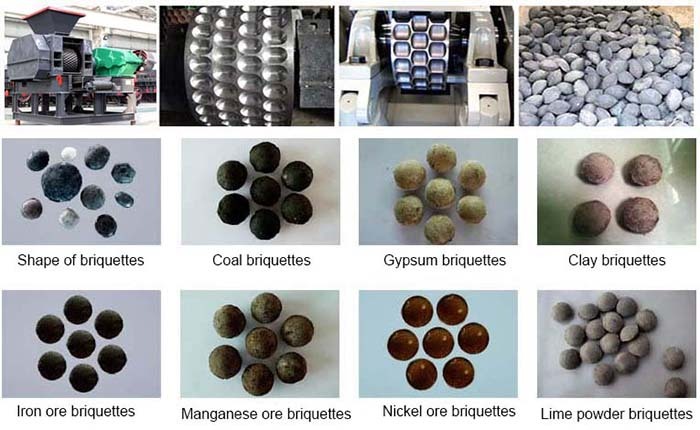 The briquette machine also improves the utilization rate of waste, which has significant economic benefits and social benefits. 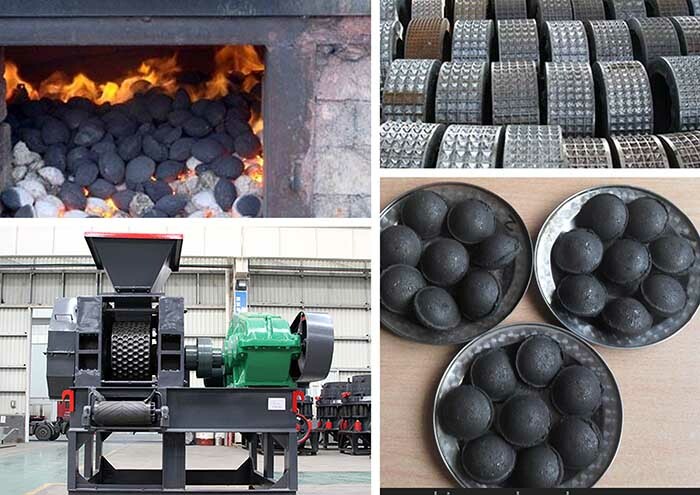 The roller sheet of the briquetting machine is cast by manganese, the hardness of which can reach up to 58 degrees after special processing. Because the roller sheet adopts combination assembly, it is adjustable after abrasion. 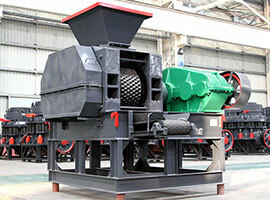 The buffer device in the briquette machine can protect the equipment from being impacted by the hard object to a certain extent.